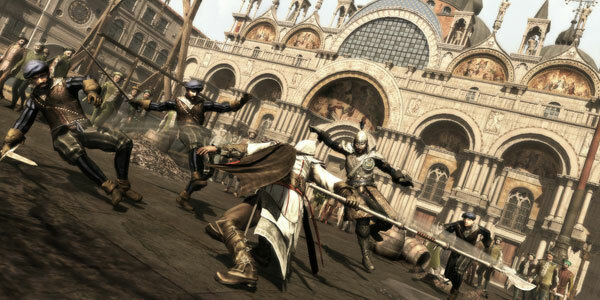 A ratings board listing for Assassin's Creed: Ezio Collection has sparked rumours that Ubisoft is readying a trilogy of Xbox One and PS4 remasters featuring the series' premiere Italian assassin, Ezio Auditore. The listing on the Korean Ratings Board hints that Assassin's Creed 2, Assassin's Creed: Brotherhood and Assassin's Creed: Revelations could all be on the way, possibly to fill the void left from the series' temporary hiatus following the lukewarm reception for 2015's Assassin's Creed: Syndicate. NeoGAF users spotted the listing on 18 August and while Ubisoft has yet to confirm that an Ezio Collection is genuine, with a Michael Fassbender-starring movie based on the series is due in December, it would make sense for the French publisher to cash in on the film's media attention.